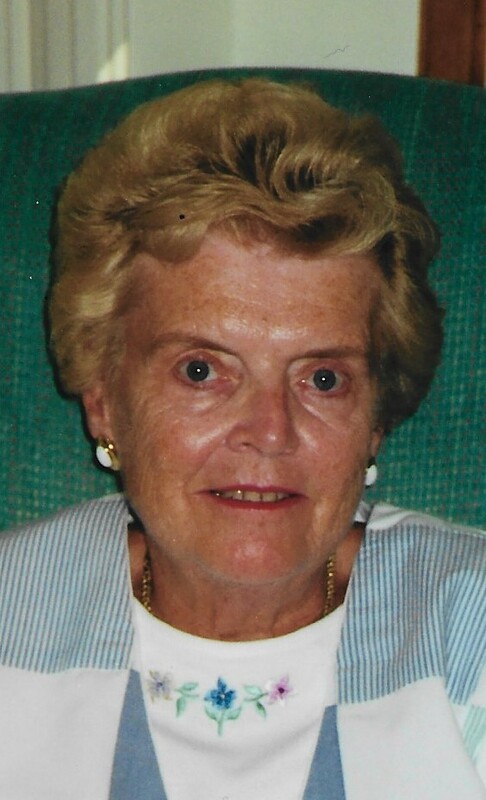 Marie Barr Obituary - Southampton, Pennsylvania | McGhee Funeral Home, Inc.
Marie C. Barr of Upper Southampton, passed away suddenly on Sunday Jan. 27, 2019. She was 88. Marie was born in Philadelphia to Marie (Heenan) and John McPoyle. She is survived by her loving husband of 63 years, John; children, John (Cathy), Paul (Marianne) and Kevin (Mary); grandchildren, John, Catherine, Kate Lynch (Brian), Chris, Elizabeth, Kevin, Frank, Mary Magdalene, and Arianna; 4 great grandchildren; sister, Jeanne Doyle; nieces and nephew, Jeannie, Nancy, Carolyn, Marie and Lawrence Doyle. Marie was known for her fabulous meals, especially Thanksgiving dinner. She was a voracious reader with a keen intellect and a memory that was unsurpassed. She and her husband, John, enjoyed many summers together in Ocean City, New Jersey. Her blue "Irish" eyes sparkled brightest when she was with her grandchildren. Marie's family will receive relatives and friends on Monday Feb. 4, 2019 from 10 to 11:00 AM at Our Lady of Good Counsel, 611 Knowles Ave., Southampton, PA. A Mass of Christian Burial will be celebrated at 11:00. Interment will be private at a later date at Washington Crossing National Cemetery. In lieu of flowers, the Barr family has requested donations in Marie's name be made to Poor Clares of the Franciscan Monastery of St. Clare, 1271 Langhorne-Newtown Rd., Langhorne, PA 19047. Condolences may be sent to Marie's family by visiting www.McGheeFuneralHome.com.